Volunteers give priceless support to our services. With your help we can reach and support more veterans. 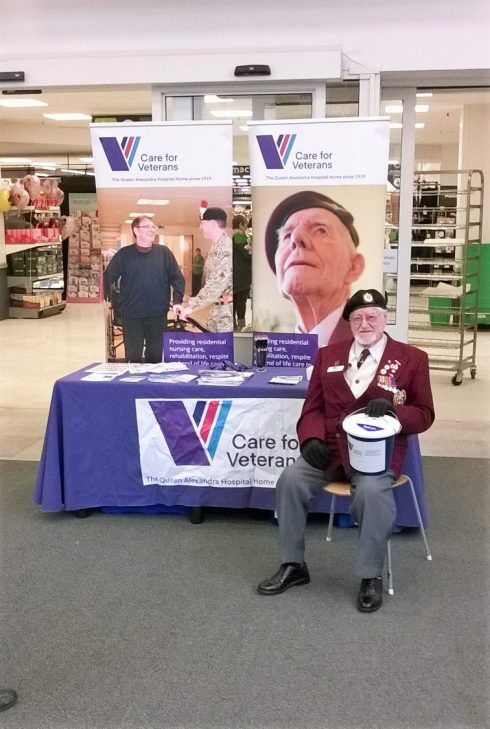 Whatever your background, you’ll find that volunteering for Care for Veterans is rewarding and challenging, and knowing that you are helping to make a difference is a great feeling. We hold events throughout the year and always need extra pairs of hands to help out on the day, for example to help with refreshments, stalls, fundraising initiatives etc. We would let you know when our events are and you could volunteer for whichever ones you would like. Our events are held mainly on Saturdays, Sundays and in the evenings. We have some residents who would love to have more company and someone to come and read to them, play cards with them or generally just visit and have a chat. This sort of volunteering is very flexible as you could visit at any day or time to suit you. We have large gardens and are always on the look out for people to come along and help with weeding, planting, pruning etc. This is fairly flexible and you would liaise with our gardener to organise when to come and for how long. We also welcome gardening groups from companies and organisations. As a chapel volunteer you are there to be part of the congregation, the family of God who gather for Holy Communion with a time of prayer, singing and reflection. It is important to our residents to have visitors to share in their worship and also their concerns and joys too. The chapel volunteers play an important role in welcoming people to the chapel, giving out the hymn books and orders of service too. You could also assist with enabling the residents to get to and from the chapel in their wheelchairs. We enjoy a time of fellowship and chatting with the residents for whom being away from the routines of the main home environment is especially valued. The chapel service usually starts at 3.30pm each Wednesday so it would be helpful if you could be here by 3pm. The service lasts about 30 minutes. Our very own choir is made up of residents, their family members, and volunteers. The choir provides great fun and motivation for all who take part, especially our veterans, who just love to sing. The choir is inclusive of all who wish to join and we have people of all abilities. We want singers who appreciate the joy of singing, and the smiles on the veterans’ faces as they perform is heartwarming. If you are interested in joining the choir, or helping out, please contact us. If you would like to volunteer, email us to register your interest and receive information about future volunteer roles, or call Sue on 01903 218444.